Barbeques, fun with family, friends, the smell of burgers cooking over an open flame, it is what summer is all about. 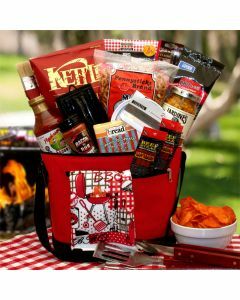 Our barbeque and grilling gift baskets are the perfect gift for the master of the grill in your life. With various baskets to choose from, if they are a true master or just beginning to hone their craft we are sure you will find the perfect gift for the grill lover in your life.